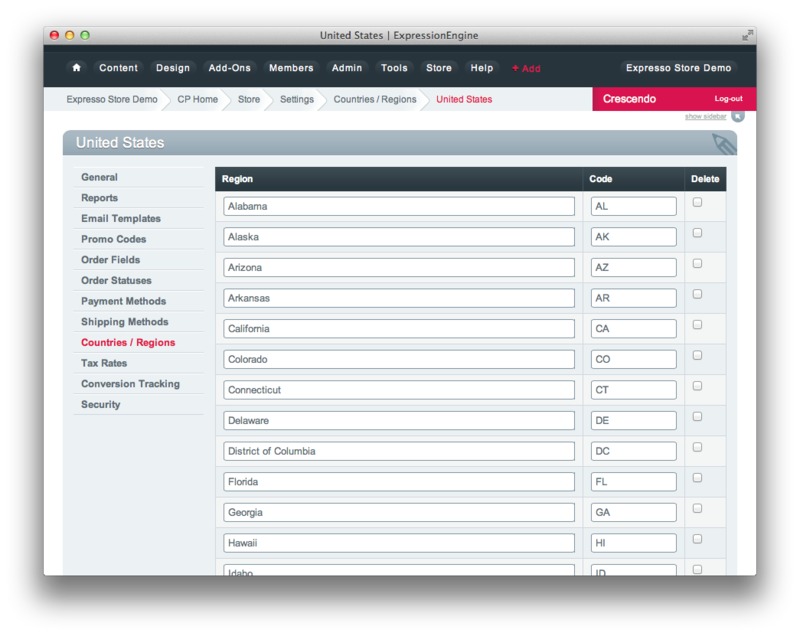 Countries / States allows you to configure which countries and states may be used for shipping and billing addresses during checkout. Countries which have a specific number of states will already have their states loaded in when you install Store (currently only the US, Canada, and Australia). For other countries, which may not have a well-definied list of regions (such as the UK), this is left up to you. As the billing and shipping state fields are stored as plain text, there is no requirement for you to configure a set list of states and display these as a drop-down menu. You can also template a text input field and let the customer specify their region or state directly. 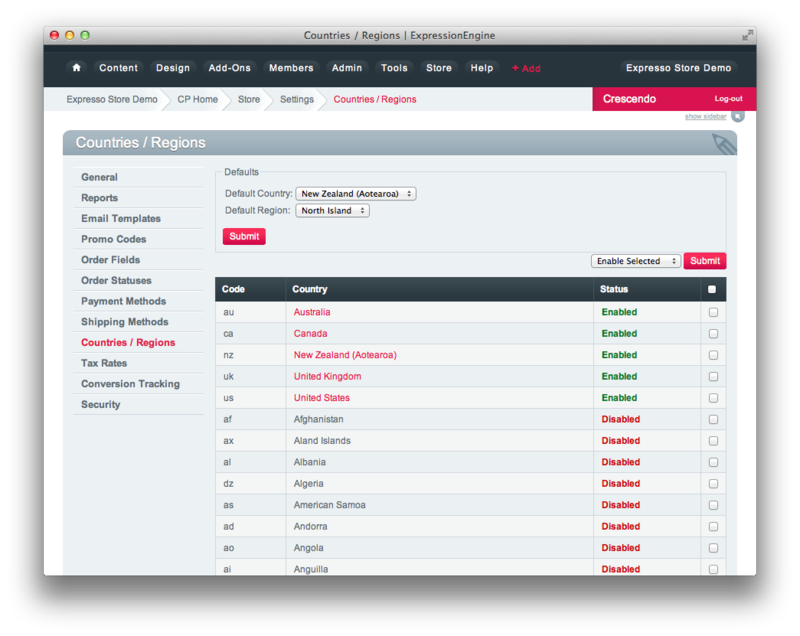 You can optionally specify a country and state which will be selected by default for new carts. This will affect both the billing and shipping addresses. After changing this setting, you must empty your cart before you will see the new country (the default country and state are only set once per cart session). By clicking on a country, you can edit its list of states. Each state must have a Name and a Code. If you template the state as a select menu in your checkout, the state code will be stored in the order field, and the state name will be looked up and displayed to the customer.